Created to moisturise your skin and help retain its natural beauty, Olay Double Action Day Cream & Primer is a great addition to your everyday skin care routine. It provides long-lasting hydration to the skin leaving it feeling soft and smooth, plus, thanks to the addition of the primer it is also an ideal base for make-up. Easily absorbed, it does not leave oily layer on the skin surface so it can breathe naturally. 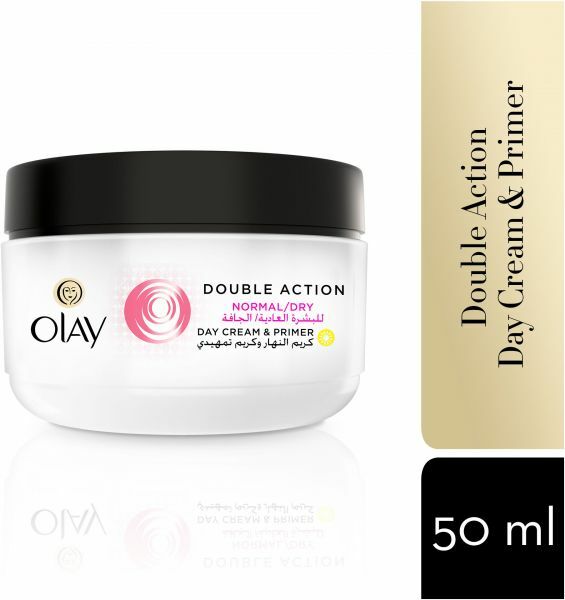 Try Olay Double Action Day Cream & Primer and enjoy smoother, more beautiful and healthy-looking skin.